Now that we’re finished with field work, we’re back on the road. First, we stopped at Godafoss, one of Iceland’s beautiful waterfalls (also an excellent location for columnar joints!). 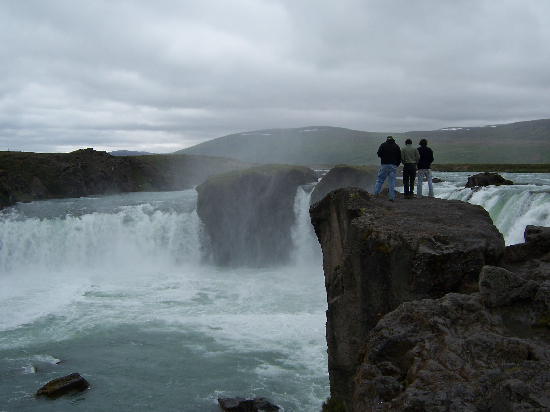 The Woo Crew stands at the edge of Godafoss, "waterfall of the gods." Next, we headed to Krafla, an active volcanic region in northern Iceland. 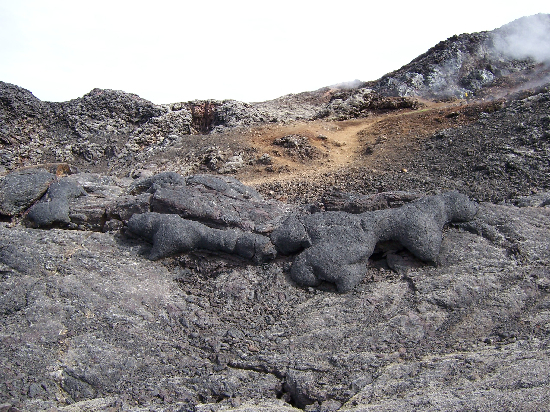 Krafla includes Namafjall, a geothermal field with hot springs, mudpots, and fumaroles. It also encompasses Viti, a famous volcanic crater. The information center was open when we arrived, so we stopped to watch a short movie about Krafla’s eruptive history and how the Icelanders use Krafla’s geothermal energy to generate electricity. We even had a chance to look into the powerplant while it was operating. 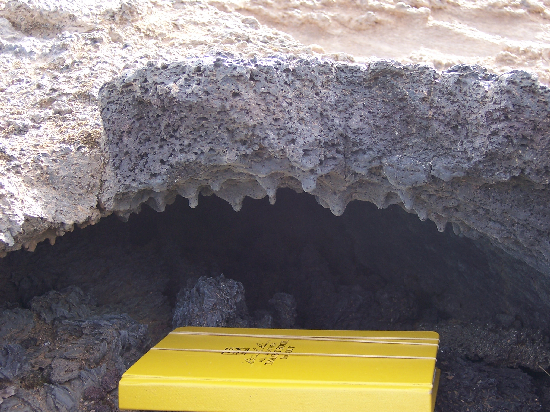 Lava drips on the inside of a lava tube. 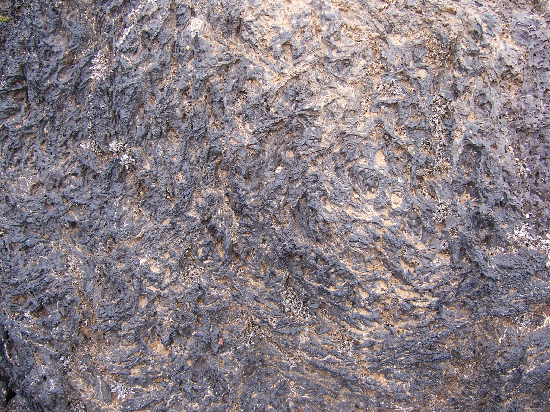 Glassy texture on a pahoehoe lava flow. Today, we’re back in Reykjavik. We had an opportunity to visit the Culture House, a museum that houses some the medieval sagas. The intricate details preserved in many of the ancient manuscripts were impressive. 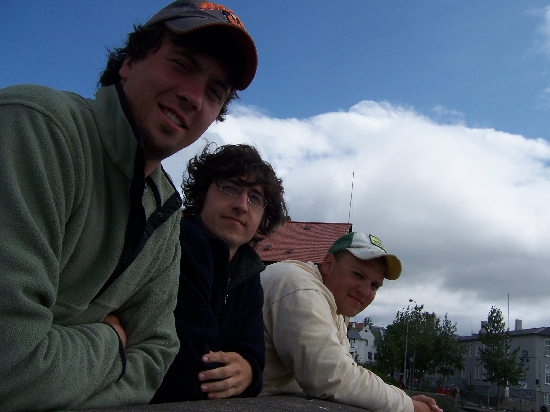 The Woo Crew hanging out in Reykjavik. After the Culture House, we bumped into some familiar faces…the Hales Fund Iceland Group! Blog worlds collided. 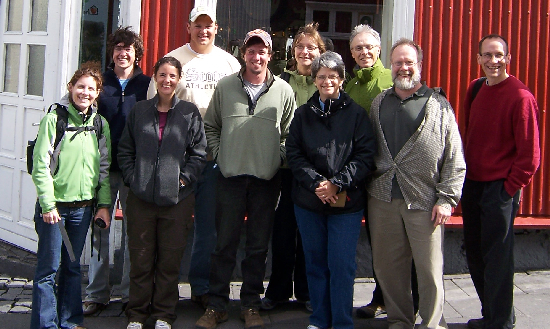 The Woo Crew joins forces with the Hales Group and invades Reykjavik.